This article was written for mature and thoughtful people who want to understand today in light of yesterday. It was not written for baboons who start to howl the moment they hear “Hitler” – the way the monkeys of my youth used to howl in front of my window in South Africa when they heard a thunderclap. Its author is a relatively young South African banker by the name of Stephen Goodson. At the end of November 1918, Adolf Hitler returned to Munich and then proceeded to a military camp in Traunstein in south-eastern Bavaria. When the camp was disbanded in April 1919, he went back to Munich, which was still being ruled by a Soviet republic founded by a Polish Jew Kurt Eisner (real name Salamon Kosmanowsky). At the beginning of May, a few days after the communist revolution had been terminated on May 1, 1919 by the Bavarian Freikorps, Hitler was summoned as a member of the 2nd Infantry Regiment to attend a course on political instruction. The purpose of this course of lectures was to provide the soldiers with a background of politics, which would enable them to monitor the many revolutionary and political movements present in Munich at that time. “ For the first time in my life I heard a discussion which dealt with the principles of stock exchange capital and capital which was used for loan activities. After hearing the first lecture delivered by Feder, the idea immediately came into my head that I had found a way to one of the most essential prerequisites for the founding of a new party. A few weeks later Hitler received an instruction from his superiors to investigate a political association called the Deutsche Arbeiterpartei (German Workers Party). At this meeting held in the Sterneckerbrau Inn in Munich, about 20 to 25 persons were present. The main speaker was Dr Gottfried Feder. Feder, who was the principal drafter of the party’s 25 points, became the architect and theoretician of the program (5) until his unfortunate dismissal as Secretary of State for Economic Affairs in August 1934. In 1917 Feder formed an organization called the Deutscher Kampfbund gegen Zinsknechtschaft (German Fighting League for the Breaking of Interest Slavery). Adolf Hitler, Mein Kampf, Hurst and Blackett, London, 1922, 122. Gottfried Feder, The Program of the NSDAP, The National Socialist German Workers’ Party and its General Conceptions, translated by E.T.S. Dugdale, Fritz Eher Verlag, Munich, 1932. Roger Elletson, Monetary Parapometrics: A Case Study of the Third Reich, Christian International Publications, Wilson, Wyoming, 1982, 16. Edward N. Peterson, Hjalmar Schacht: For and Against Hitler, The Christopher Publishing House, 179. David Marsh, The Bundesbank: The Bank That Rules Europe, William Heinemann Ltd. London, 1992, 119. David Irving, The War Path: Hitler’s Germany 1933-1939, Macmillan, London, 1978, 172. Footnote: “Montagu Norman, governor of the Bank of England, told the U.S. ambassador in London that Schacht was his constant informer over 16 years about Germany’s precarious financial position (U.S. Ambassador Joseph Kennedy reported this to Washington on February 27, 1939.) In 1945, Norman tried to intercede for Schacht at Nuremberg through a fellow Freemason on the British prosecuting team, Harry Phillimore (Schacht was also a Freemason). The U.S. team flatly rejected Phillimore’s advances, but the British judge, Birkett, successfully voted for an acquittal. Marsh, op.cit., note 40, 300. This was a check that was guaranteed to bounce, as England was only prepared to come to Poland’s aid in the event of a German or Polish invasion, but not one from the Soviet Union. The Poles were unaware of this circumscription. The Soviets took by far the larger portion of Poland viz. 77 300 square miles, as opposed to the 49 800 square miles acquired by Germany. David L. Hoggan, The Forced War: When Peaceful Revision Failed, Institute for Historical Review, Costa Mesa, California, 1989, Chap. 16, “The Terrified Germans of Poland”, 388-90 and The Lodz Riots, 4-7. Das Letze Angebot (The Last Offer) in Verheimlichte Dokumente-Was den Deutschen verschwiegen wird, Fz-Verlag, Munich, 1993, 172-4. It contains all 16 points. This article just confirms my belief that there can be no place in white nations for live Jews, Semites, Sodomites,Satanists or Freemasons. They all got to go! Either on their feet or feet first. I suggest you do a Google image search for “Wehrmacht Asians” – The results are quite enlightening! 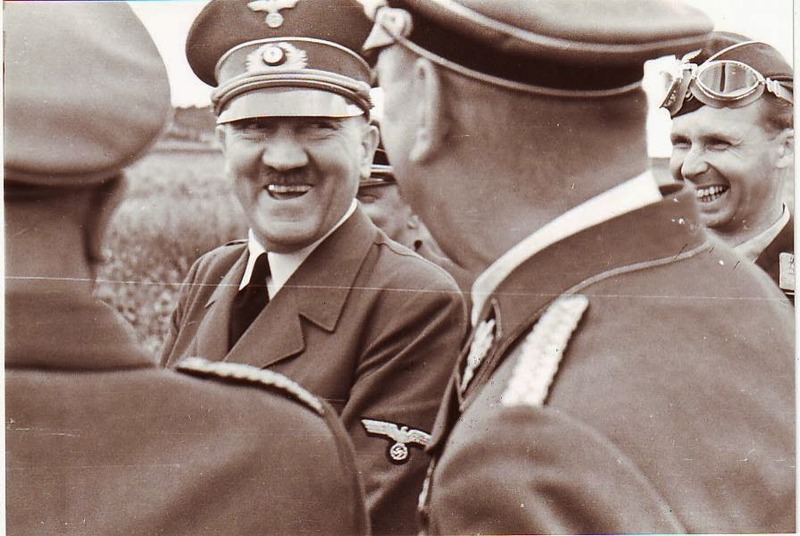 Hitler said that anti-Semitism be widespread in Vienna while he enthused there, a little which he establish disturbing awaiting he realize so as to all the newspapers. Very much the way that the money speculators operate. Buy at a low price, wait until it goes high and then they all sell fast, busting the country’s entire economy at the same time. That drives the price down so far that they can buy 5 times as much for the same price. Rinse and repeat. Meanwhile, with their economy in tatters, the people have to live with runaway inflation and their wages are now worth only a fraction of what they did before. The money speculators care only for their own financial gain, they don’t give a damn about the people’s lives they destroy in the process. Look at Indonesia in the early 90’s When I went there, the Rupiah was 4,000 to the pound. after the money speculators finished, it rose to 27,000 to the pound, nearly 7 times less than what it was before. The whole country went into economic depression and people struggled to feed their families. All for the greed of a few money speculators wanting to make a fast buck. A very pertinant peice of advise for todays youth,. It is an interesting article by David Duke. But it must be noted that Jews have nothing to do with the religion of Old Testament. Jews are often confused with Judeans (aka Hebrews). When Jews say the land of Israel belongs to them, they are saying this according to the teachings of Babylonian Talmud. Bible teaches that the ownership of the land of Canaan (ancient Israel) belongs to God (Leviticus 25:23). God “leased” the land of Canaan to Hebrews (Judeans) under the condition that they will keep the laws of God. Hebrews didn’t keep God’s laws and murdered Jesus Christ and the Prophets (Leviticus 18, Leviticus 20:22). So they were ejected permanently out the land of Ancient Israel in 70 AD. Majority of Jews being Khazars was pointed out by Benjamin Freedman. The language “Yiddish” spoken by Jews was of Khazarian background. Yiddish has very little to do with Hebrew aside from the fact that Khazars adopted Hebrew alphabet for Yiddish. On the top of that, the language of Hebrews in first century Israel was Aramaic. Not Hebrew. Hebrew was revived during Bar Kokhba revolt (132-135 AD) by False Messiah Bar Kokhba. This was pointed out by Dead Sea Scrolls Archaeologist Yigael Yadin. Many Jews have the name “Kagan.” “Kagan” was Khazarian word for a person in high authority such as “King” or “Priest.” Archibald Ramsay in his book “The Nameless War” mentions about this. Stalin’s right hand man was Jew Lazar “Kagan”ovich. Lazar Kaganovich’s sister Roza “Kagan”ovich was Stalin’s mistress. Benjamin Freedman explained the below information in his 1974 speech. These central banking scumbags did the same thing a few times in the usa. The video below illustrates this. Very good article and very true, if you know a little about modern history. The very same thing is happening here in the U.S. today. You dont need to mention the ethic group,it is the same group that Hitler dealt with . Their Homeland is not Israel but Khazar, Russia, Ukraine to be more exact, they have never set foot in Israel. I enjoy reading about history , jmo, the one thing that opened the door for the Banksters here in the U.S. was the repeal of the Glass Stegal Act by none other than Bill Clinton in 1995,it had kept the Wall Street Gangsters under control for decades . I also agree that the Banksters have boxed themselves into a corner ,they have no place to go, unlike history.They also need the U.S. Military to protect them the B.R.I.C.K.S. countries are hot on their trail. Will be interesting to see how it all plays out now that they own the U.S..